There’s something considerable to be said for a cult following packing out two of New Orleans’ more notable venues for four nights with not a trace of promotion of marketing to the general public. But then producer/electronic composer David Tipper is not an orthodox artist, sonically or in practice. 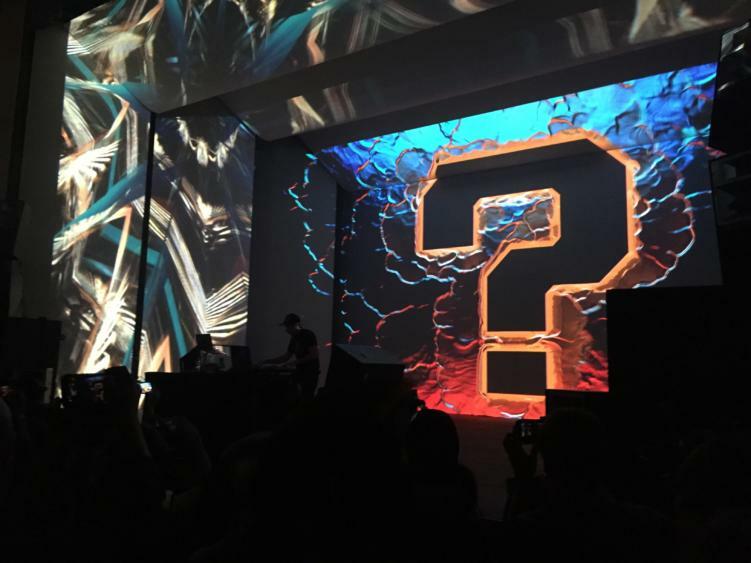 His signature question mark sign is a fitting choice for his mysterious ethos. By aiming to sell tickets directly to his community members to avoid scalpers, he’s crafted an alien pilgrimage relished by the dedicated and the tie-dyed. 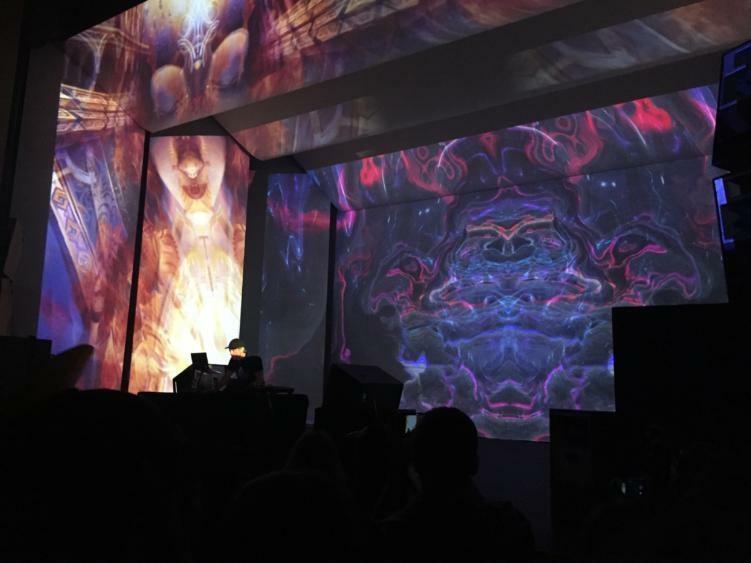 Tipper is revered to as a remarkable sound composer, a prolific electronic artist, and a highly-demanded audio engineer. His sound is wonky and strange, with mechanical polyrhythms and organic samples anchored by deeply wound bass frequencies. Themes of life, death, introspection, and psychedelia have made him a fixture at Burning Man events for years. Eager fans camped outside Tipitina’s from 10 p.m. Wednesday night in below freezing temperatures until box office opened Thursday afternoon to secure just one of a few dozen tickets released for Tipper’s DJ set that night. This trend of congregating for that lucky chance at a ticket continued from Thursday until Sunday. 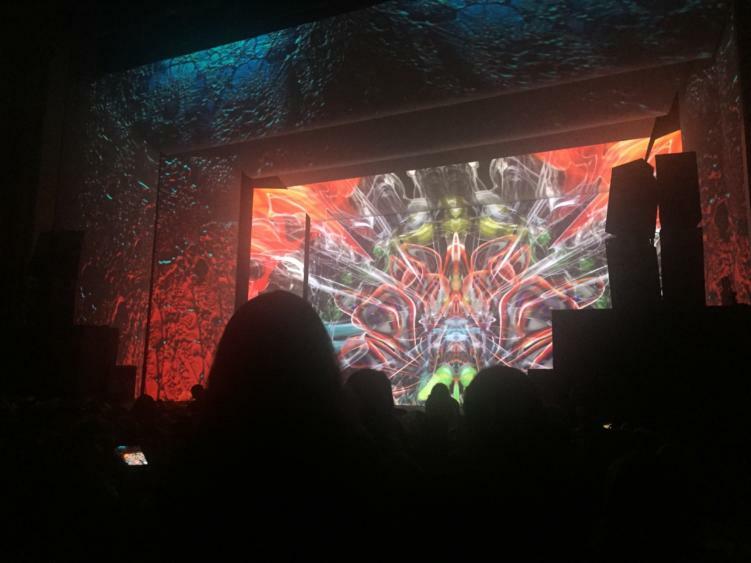 Each night of the four-night run reflected a different theme in Tipper’s expansive sound catalog: A DJ set and an uptempo set at Tipitina’s the 4th and the 5th, and a downtempo set and a rare ambient set at the Orpheum Theater the 6th and 7th. With a festive New Orleans twist, the downtempo set was dubbed a masquerade for Twelfth Night. Fans donned elaborate masks, blazers and gowns to celebrate the beginning of Carnival season. Think Haight-Ashbury Dayglo-style vibrancy meets Mardi Gras tradition. 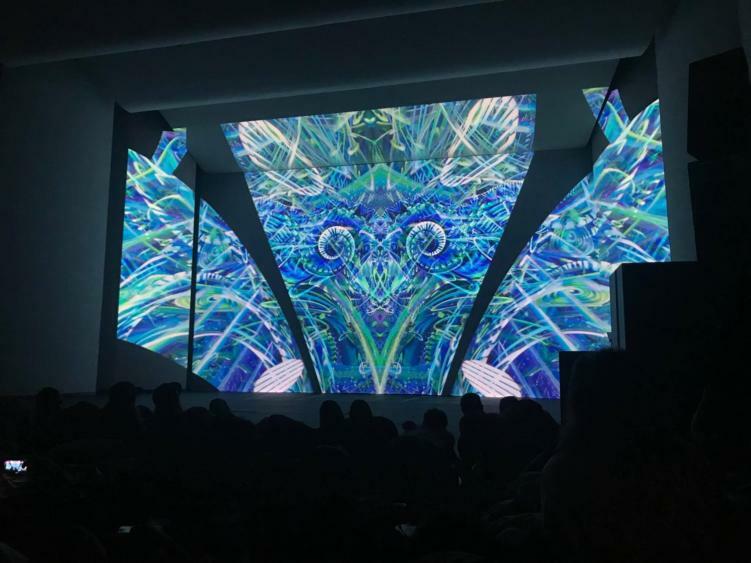 The ambient night began with a screening of a French 70’s film called “La Planète Sauvage” (Fantastic Planet), complete with surreal imagery and a prog-rock score to set the tone for Rumpistol, a Danish composer who was the first opener of the weekend. 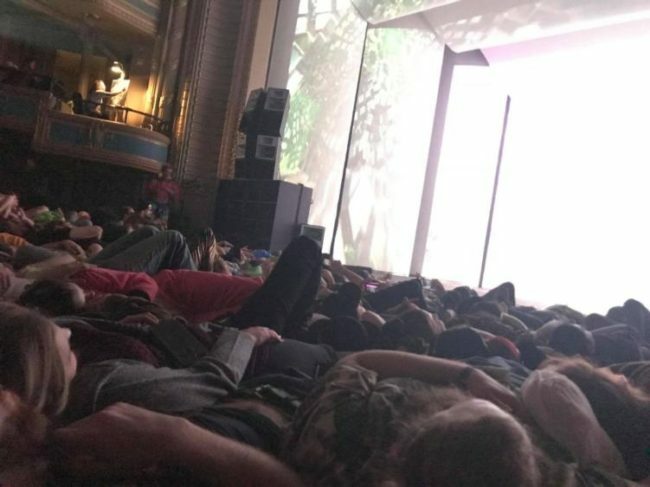 Hundreds of fans brought pillow, blankets and scarves to lay back on the Orpheum floor in a cuddling mass before Tipper came on. Not one for pageantry, Tipper was hidden from the audience behind his Funktion-One speakers to stage left. He instead let the collaborating visual artists Jonathan Singer and Datagrama play to the crowd. 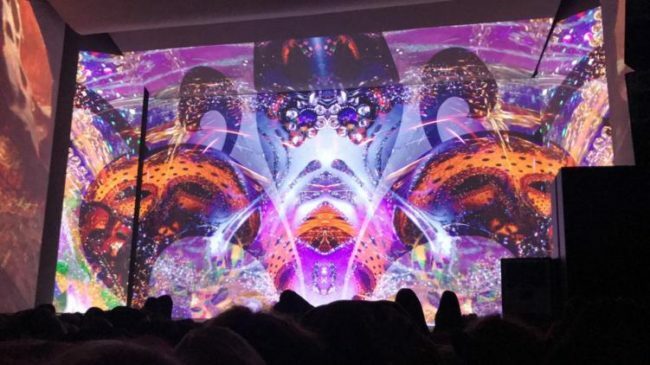 Synced with his fluid meditative ripples, the pair manipulated album art throughout Tipper’s discography live. 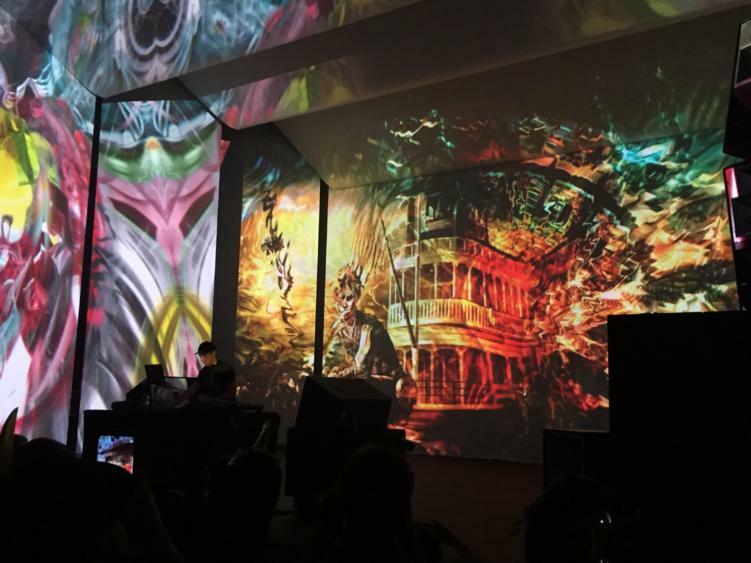 Recurring images of steamboats, Mardi Gras masks, and a psychedelic rendition of the theater itself gave a stunning visual journey to match the aural one. 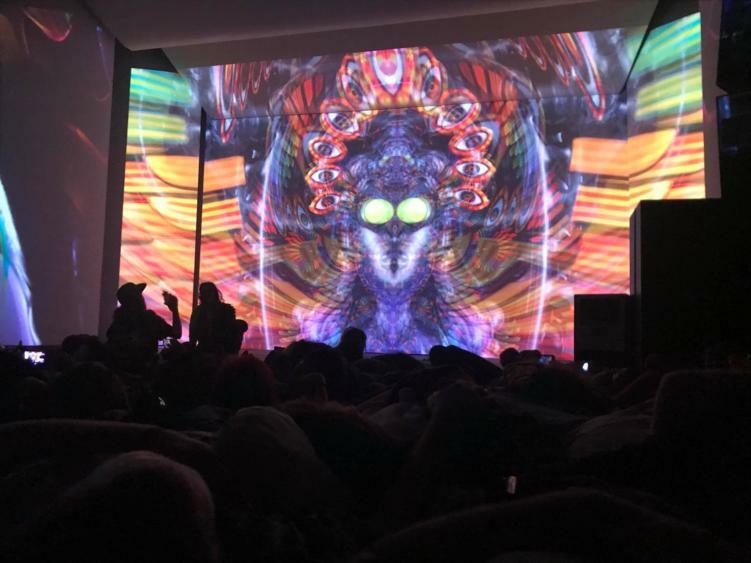 Fans got up tearfully and embraced one another after Tipper left the stage humbly, not having spoken a word onstage the entire weekend. I imagine it’s difficult to follow up something like that. 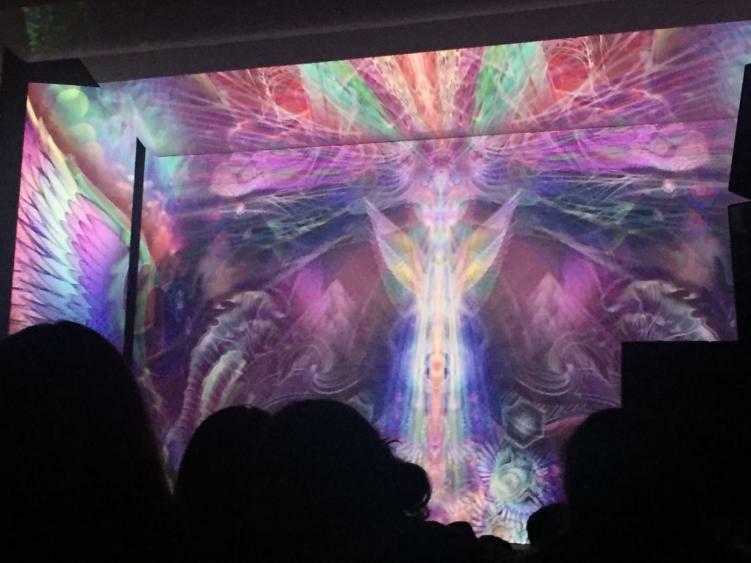 The Tipper and Friends events have taken place as far and wide as the Filmore Auditorium and Red Rocks in Colorado, Thalia Hall in Chicago, twice in Live Oak, Florida at The Spirit of the Suwannee Music Park, and Astral Valley, Missouri. This run represents a degree of community engagement and celebration not possessed by many other artists, particularly not one as enigmatic and strange as David Tipper. You can see the full gallery from the event below!